SNIIT Poly has more than 200-bed(space) hostel capacity which is inadequate for our teaming number of students. Accommodation is therefore on a first-come-first-served basis. This challenge will soon be overcome as private investors are already showing interest in this business opportunity . There are however private rooms to let within our host and adjourning communities of Ifewara, Iwara, Ilesa. 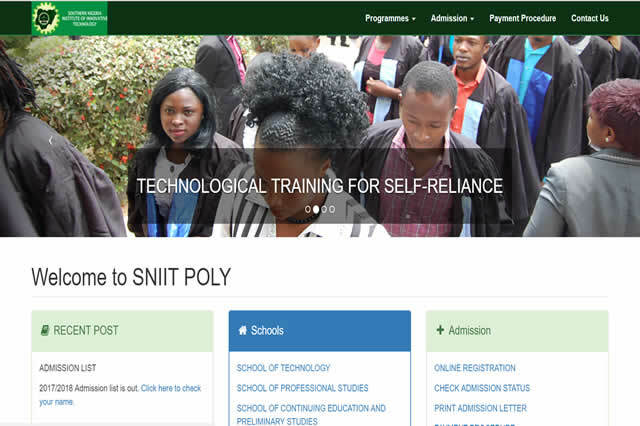 Visit SniitPoly Website For More Information.